Thank you for registering your query. We will contact you shortly. Everyone who is, in one way or the other, associated with a corporate house puts in a lot of effort in the development and advancement of the company. A substantial amount of ardour and dedication goes day in, day out for an ever-multiplying turnover leading to a perpetual growth. After so hard work, one deserves appreciation, especially when he or she has done exceptionally well. According to corporate ethics, corporate gifts are the best way to encourage the employees, please the clients and associates and acknowledge excellence. However, if good gifts make desirable and practical rewards, not all gift ideas are appropriate for providing ‘good morale’ at work place. Therefore, it’s important to know where to draw the line; you definitely do not want to upset the recipient. Many corporate houses follow certain gift giving and receiving guidelines to maintain a pleasant work environment. Shopping for corporate gifts is all about being aware of the fine line between gifting and bribery. For instance, a potted plant might be acceptable, but one might misinterpret an over the top expensive gift as a bribe. Shopping for corporate gifts online opens up an array of ideas, each of which is impressive in its own way. Shop at Giftcart.com and you shall know. Usually, there is a hierarchy for corporate gifts just as it’s there within employees, executives and clients. You would want your customers to remember you on a daily basis and not want to discourage hardworking employees. More importantly, you would want the corporate relationship with top executives to strengthen. Therefore, their gifts should match their stature accordingly. 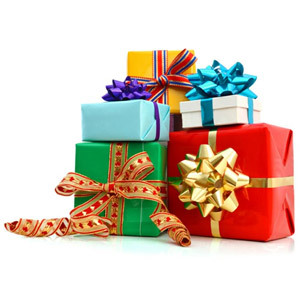 The ideal way to shop for corporate gifts online is to look for gifts, which the recipient would use. For individual recipients, if you know him or her closely, you can consider something they prefer or enjoy as a hobby. 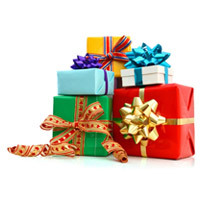 Browse through Giftcart.com to find gift according to personality. Business Stationery: No matter how tech savvy one becomes, everyone needs pens, papers, diaries and other stationery items for their workstation. Have the company name and logo printed on them, along with the employees’ or customer’s name for a personalised touch. Giving diaries, notepads, etc. with motivational quotes printed on them, is a thoughtful way to encourage employees. Office Décor Item: Those who enjoy the privacy of their cabins, such as managers and other senior officials, office décor gifts work just fine. Buy Corporate Gifts Online, products, such as statues for the desktop, paperweights, bookends, clocks, photo frames, etc., which they can put on display or use. Logo Utility Gifts: One of the advantages of corporate gifts is that, it promotes the company brand name a logo anytime anywhere effortlessly. Workwear, such as jackets, sweaters, T-shirts, etc. with the company’s name or logo are ideal gifts. Alternatively, you can also gift monogrammed satchels, bags, suitcases and trolley bags.